KICK-OFF: Saturday 17 August at 12:45pm. (GAMEWEEK 1) at Anfield Football Stadium, Liverpool. The Premier League season kicked off in dramatic fashion with a gripping encounter between Liverpool and Stoke City which saw Liverpool come out on top, winning the first league game of the season in 5 years. Anfield was rocking for the start of the of the Premier League season, providing a vibrant atmosphere as the players made their way on to the pitch. It was a superb start to the game with the first big chance coming in the 8th minute, when Robert Huth hit the crossbar, much to the delight of Mignolet who was well beaten. Liverpool's celebrations after a goal from Sturridge were quickly drawn to a halt when it was called offside after a great ball into Sturridge for the header, but Sturridge ran too early. Then in the 12th minute, Robert Huth's Liverpool counterpart Kolo Toure hit the crossbar with a header and Sturridge hit it way over in the rebound. Daniel Sturridge would get another chance around two minutes later when he took it around the goalkeeper, but Stoke newbie Erik Pieters cleared for some safety. Former Liverpool forward Peter Crouch went down seemingly pretty easy in the box in appeal for a penalty, but nothing came from it and a corner was given. 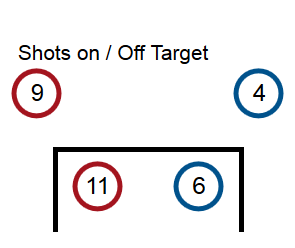 Liverpool seemed to switch to another gear thereafter with numerous chances. Spaniard Jose Enrique came very close just before the half hour mark, it looked like he would score but Begovic put out a brilliant save to deny him. Gerrard went for a screamer of a goal from distance but it cleared the bar. Liverpool continued to pressurize, chance after chance. Stoke seemed to be staying put, but it looked like a goal was becoming imminent. Begovic was brought again to do some work when he hacked clear from Aspas' extra touch in front of goal. Then came the 35th minute, and the deadlock was broken by Daniel Sturridge. Begovic and his defence were finally beaten when his shot from outside the box went through Robert Huth's legs and went past Begovic. The celebrations when his goal was offside were cut short, but the Kop end was alight when Sturridge finally got the goal. With less than five minutes until half-time, new Liverpool keeper Simon Mignolet ensured Liverpool would finish the half in the lead when he denied Walters emphatically. Lucas further sealed Liverpool's lead into half-time clearing Shawcross' flick to goal after a corner - that should not have been given as the ball came off Huth. 45 minutes into the Premier League and it was off to a great and fast start. The first half filled with action, drama and only the one yellow card to Steven Nzonzi. Meanwhile, the number #4 on each team, Toure and Huth, hit the crossbar, 4 minutes in between each other. Sturridge hits the back of the net twice, but only one is allowed following the previous offside decision. Very enjoyable first half and Liverpool really did continue to press and press with the chances coming thick and fast, Stoke's chances did show that they are not pushovers though. It had me on edge, and near to my keyboard ready to call the action. Frantic stuff! Stoke City were still well in the game in the second half, trailing Liverpool by a goal at Anfield. But it could have been all over just one minute in with Coutinho's chance of really should have been converted but it was wide. Props to Sturridge for the lovely back heel to set it up, though. Play settled down early in the second half although the few chances came. Once again, Stoke City's goalkeeper further proved his reliability to the team keeping out Jordan Henderson's well-hit shot on his left foot. Daniel Sturridge came very close to his second goal once again, but it was Begovic who responded well to deny Liverpool taking a two goal lead. Maybe Begovic was beaten when Henderson struck the ball in the 62nd minute, but fortunately for the Stoke keeper, the post wasn't. Jermaine Pennant's free kick could have ended the record of Stoke City never scoring at Anfield, but his close attempt was smartly saved by Mignolet. Gerrard also went down hurt in the box, but he was back up and no injuries were apparent. Gerrard once again evoked a gasp from the fans at The Kop as Asmir Begovic managed to get fingertips on the powerful shot tipping it over. 2 minutes later, his former midfielding partner Charlie Adam almost equalized with an insane chip from afar, but Mignolet produced a quality save to maintain Liverpool's lead. It could have been a huge heartbreak for Liverpool when a handball from Daniel Agger resulted in a penalty for Stoke. However, Mignolet would save the penalty and the rebound from Kenwyne Jones. Incredible. Liverpool fans have found a new hero. When the final whistle blew it marked the triumphant start to the season for Liverpool, a cracking game of football. What a start to the season. Asmir Begovic - A superb performance between the sticks for this keeper, he really went beyond the call keeping Stoke's chances alive. Simon Mignolet - Successful day for Mignolet who kept a clean sheet. He should be grateful for the crossbar though, when Robert Huth hit it in when Mignolet had no chance of saving. Kolo Toure and Robert Huth, #4s for their respective teams, both hit the crossbar 4 minutes between each other. And the goal was to further be rattled during the game. The situation of Luis Suarez may have loomed over the club, but they dealt with it well and the win is important. The promising trio of Coutinho, Aspas and Sturridge worked wonders for the club. Robert Huth, Johnathon Walters - Robert Huth missed the goal and hit the crossbar in what could have opened the scoring, and Sturridge's goal went straight through his legs, something he won't want to watch again. Johnathon Walters' missed penalty will haunt Stoke City without a doubt. 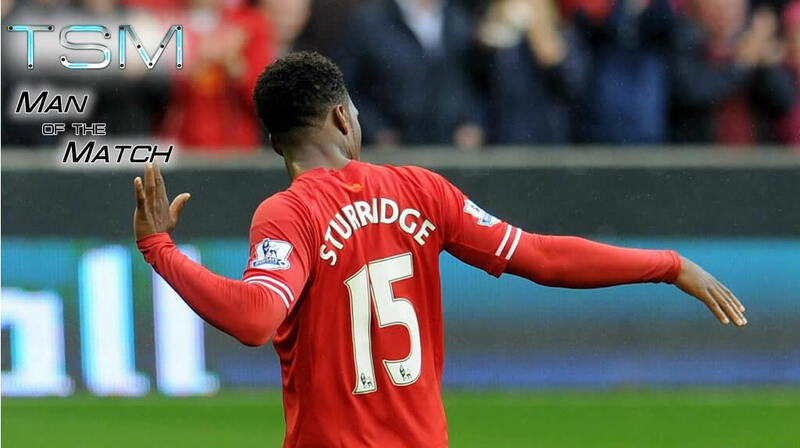 Daniel Sturridge - Man of the Match. An excellent game to kick off the Premier League. A dramatic, enthralling game from the start, and Liverpool take 3 important points. For the first time in 5 years, Liverpool win the first game of their Premier League campaign. The chances came and came for Liverpool until the goal broke through, Stoke still tried to keep in it, but fell short. The penalty is the key moment that will haunt them leaving the match, but Walters can't be subject to so much blame, but more Mignolet for the credit. What a start to the season. Liverpool pick up three points in a cracking game. If the rest of the season is anything to come by, we are in for one special season of football. Full match report, coverage, review, analysis, media and more for the opening game of the 2013/14 Barclays Premier League season between Liverpool and Stoke City at Anfield.